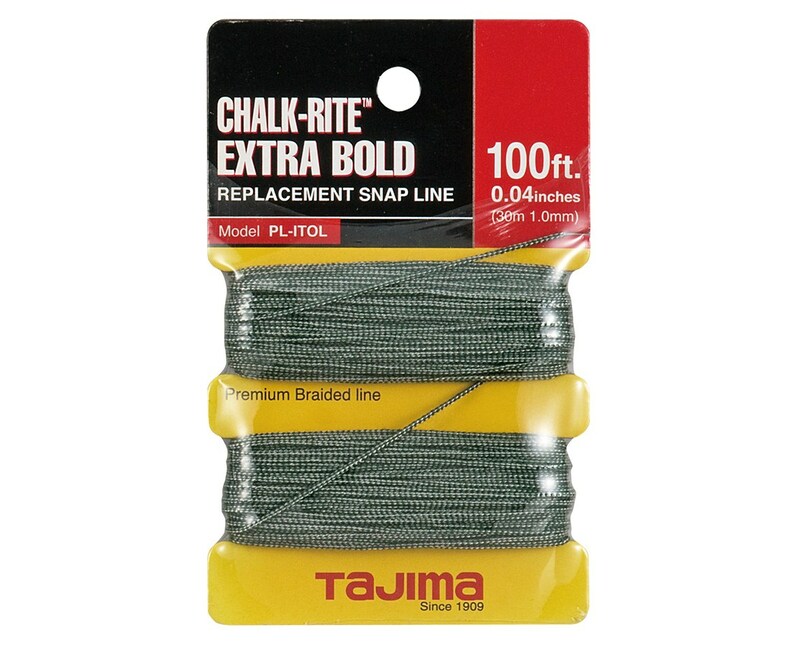 Overview for the Tajima Chalk-Rite Braided Line 30m / 100 ft.
Tajima’s Chalk-Rite Replacement snap line lets you use your chalk line forever. In case your original line breaks, you can use this original manufacturer replacement to get going again. 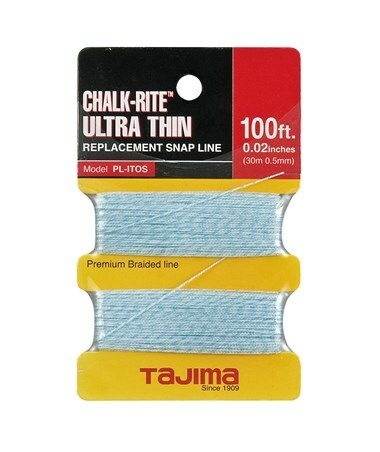 It’s the only line compatible with Tajima’s Chalk-Rite series. At 100' long, it’s the only replacement you’ll ever need, and it comes in two sizes. Ultra-thin 0.5 mm line draws a narrow pencil-like stroke. Extra-bold 1.0 mm line produces a thicker, more visible mark. Both are braided for extra durability. 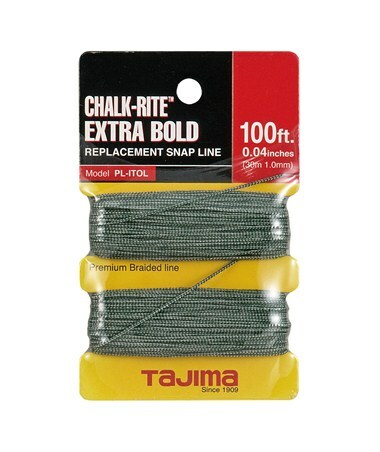 The Tajima Chalk-Rite Braided Line 30m / 100 ft. is available in 2 sizes. Please select your preference from the dropdown above. Features for the Tajima Chalk-Rite Braided Line 30m / 100 ft. Specifications for the Tajima Chalk-Rite Braided Line 30m / 100 ft.
Tajima Chalk-Rite Braided Line 30m / 100 ft.